Great book! The characters drew me in and I found it soo hard to like Ben Garrison, the Army doctor who inherits a lighthouse and, since he doesn’t want it, is willing to sell it to a developer planning on tearing it down. Made me dislike him right away! But I did enjoy reading the book – especially as feisty Marci springs into action to save the lighthouse! This novel has so many neat elements – a lighthouse, a suffering war veteran, a woman with a fear-filled past. Will God redeem these things and create a beautiful future? I so enjoyed this story – a fun romance, a little bit of suspense and a taco guy who dishes sage advice! I received a copy of this book from the publisher. I am freely writing a review – all thoughts and opinions are my own. 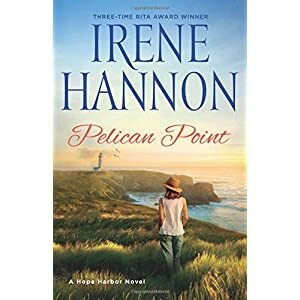 The Author: Irene Hannon is the bestselling author of more than fifty novels, including One Perfect Spring, Hope Harbor, Sea Rose Lane, and Sandpiper Cove, as well as Dangerous Illusions and the Private Justice and Men of Valor suspense series. Irene, who holds a B.A. in psychology and an M.A. in journalism, juggled two careers for many years until she gave up her executive corporate communications position with a Fortune 500 company to write full time. She is happy to say she has no regrets! When not otherwise occupied, Irene and her husband enjoy traveling, Saturday mornings at their favorite coffee shop and spending time with family. They make their home in Missouri. Learn more at http://www.irenehannon.com.